I had but a few minutes to enjoy the garden today and notice the many changes, but plan to spend tomorrow finishing up some weeding and planting some recent purchases. 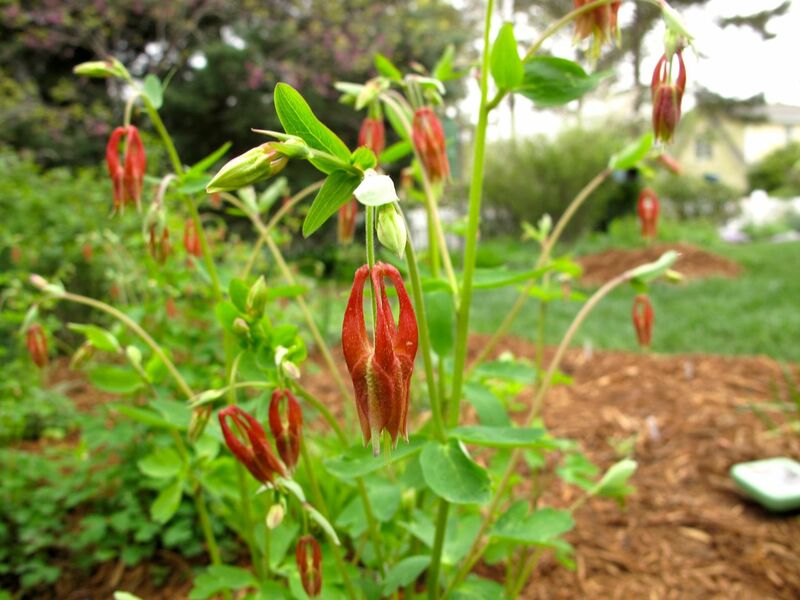 The Aquilegia canadensis (Eastern red columbine) is coming into bloom in various regions around the yard. 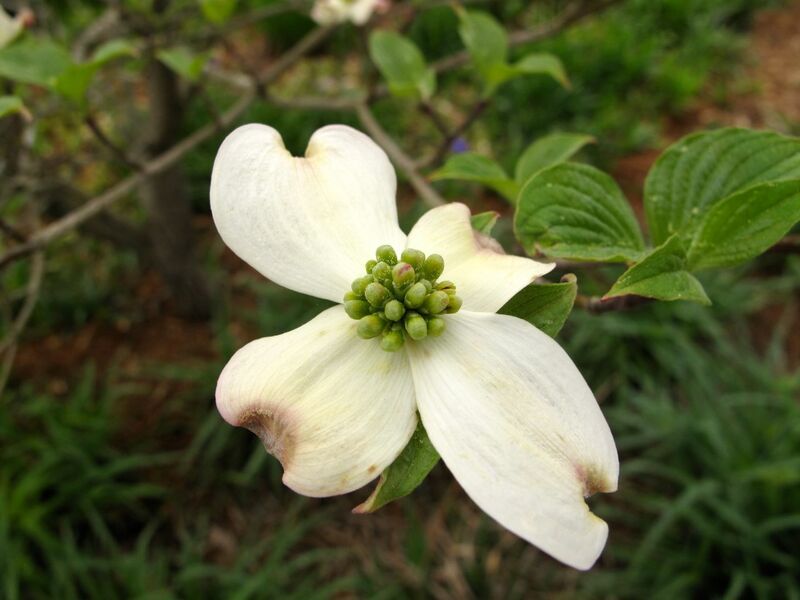 The Cornus florida (Flowering Dogwood) near the back corner is blooming unusually well this year. Irises are beginning to fill the beds. 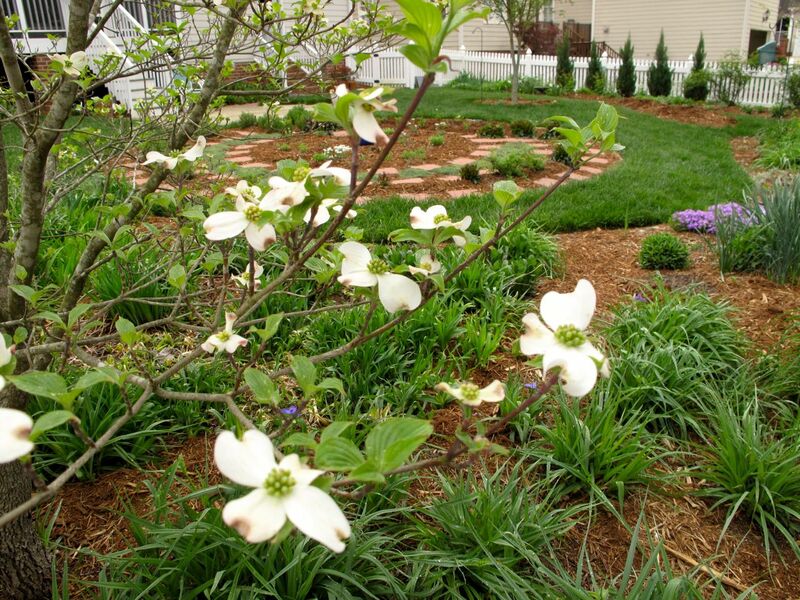 Birds scratch around looking for breakfast, scattering the mulch in the recently planted meditation circle. The labyrinth is calling. 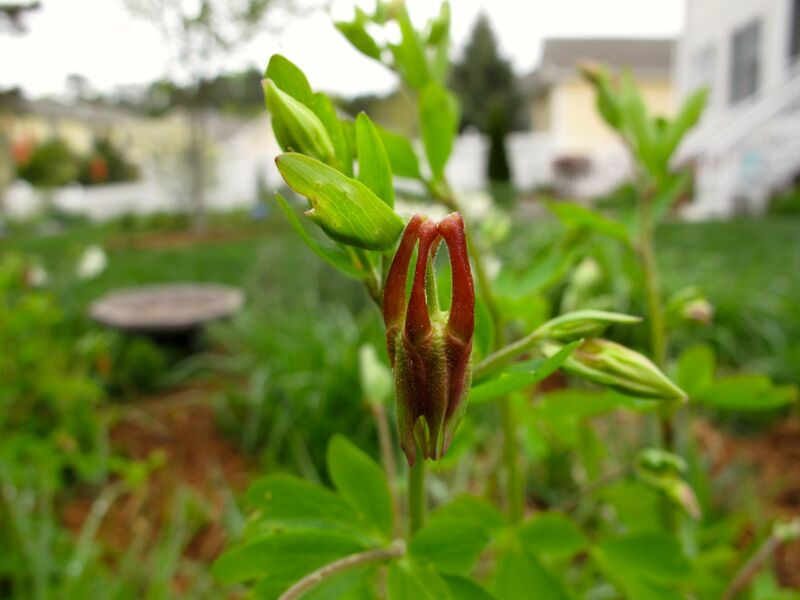 This entry was posted in garden and tagged Bearded Iris, Cornus florida, eastern red columbine, meditation circle, walking the labyrinth on April 16, 2013 by pbmgarden. 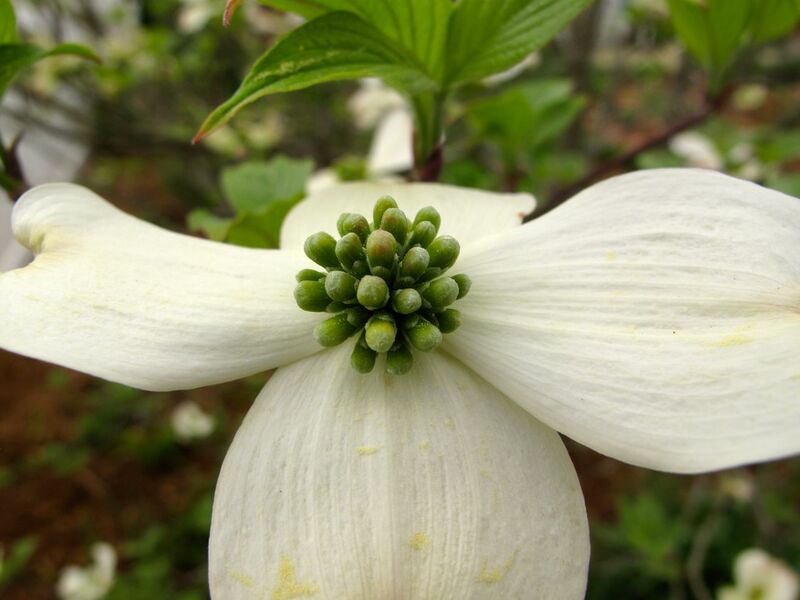 It’s hard to beat the beauty of a dogwood. So true. Are yours blooming yet? 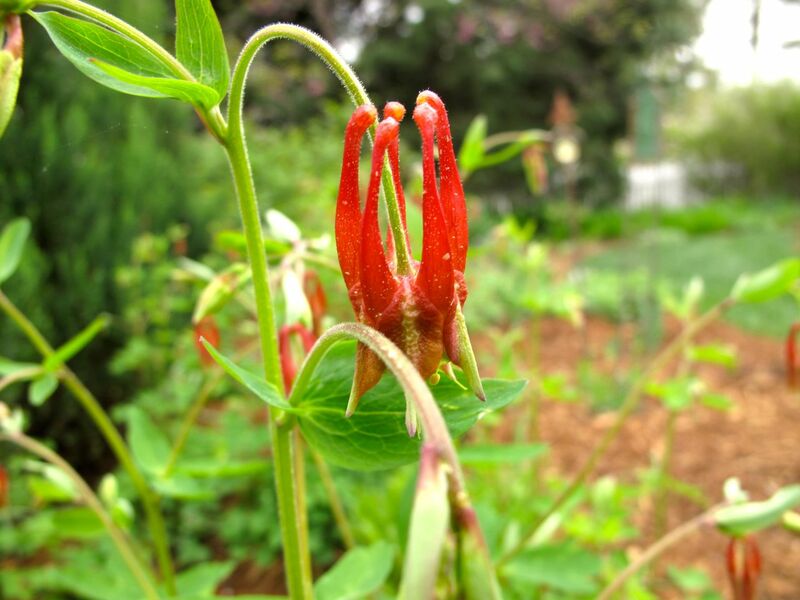 I am a huge columbine fan, thank you for sharing your photos. Glad to share them. I value them in my garden but this year I see I need to manage better where they are spreading. Thanks Cathy. I’m so glad I added the meditation circle. Before, there wasn’t really an interesting focal point. Beautiful! 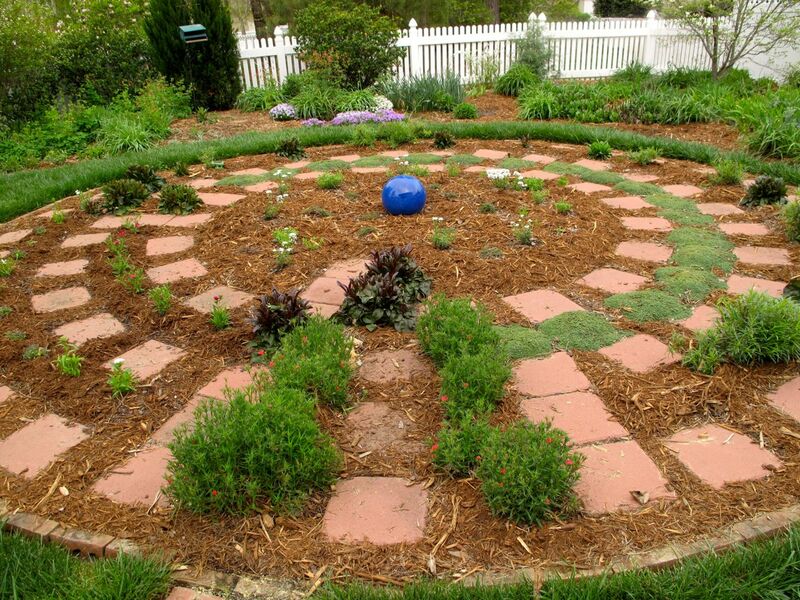 Love seeing the garden evolve each week… The mediation circle is wonderful! Thanks so much. The garden does change quickly this time of year. Wow nice to see the columbine and your meditation circle is looking great. Thanks Donna. Suddenly things are popping. 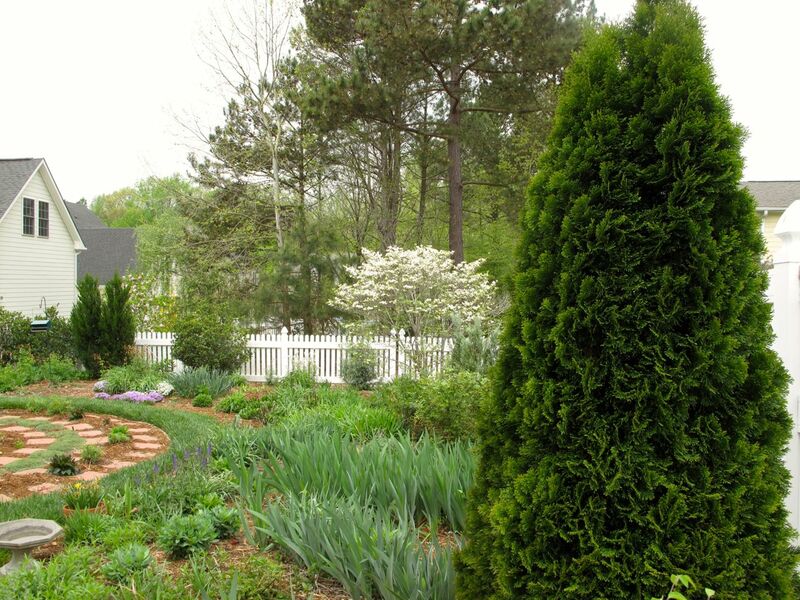 This is a beautiful post showing off a BEAUTIFUL garden. The artist behind the camera has captured a moment that is a blessing and a healing as spring returns. Thanks Stepheny. I’m unfortunately way behind this year and garden still has a lot of cleanup left to get it ready. It’s not waiting for me though so I’d better hurry.